If you're looking for things to do and places to see in Marbella you might want to consider a different perspective on the area. Driving around by car or taking public transport means it's easy to miss some of the best sights, but walking doesn't cover enough ground so why not consider a compromise and get on your bike? 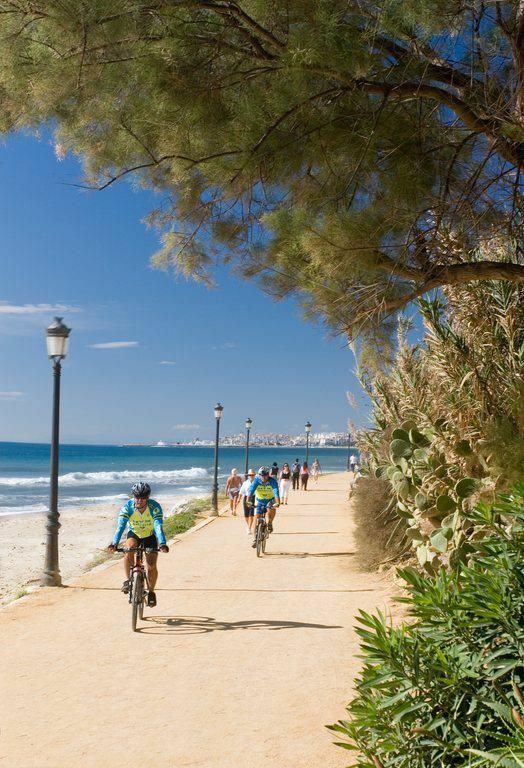 There are a number of different bike tours of the Marbella area and they are a great way to see more of the region whether you're visiting for a short holiday, or staying a bit longer. Here's some more information about bike tours in Marbella and what to expect. There are plenty of places to rent bikes in Marbella and it is entirely feasible to simply hire a pair of wheels and take you around the sights and sounds of the area. There are a number of highly recommended locations to visit which can easily be found without too much trouble. However, to see the real Marbella and to visit some of the places which are perhaps less widely publicised - but no less attractive - takes insider knowledge and this is one of the advantages of joining a bike tour. Although you will still get to see all of the big-name destinations, you'll also get the chance to visit some places you simply wouldn't have known about, let alone considered for a trip. The other advantage is that a tour guide will know the way around Marbella, so you won't be wasting time getting lost and consequently missing out on things you wanted to see due to a lack of time. Your guide will know the best times to visit, how to avoid the crowds and also the eateries and venues that the locals visit, away from the tourist hot spots. This means you won't just avoid the premium typically slapped onto prices, you're likely to enjoy some far tastier food too. The guide can make a big difference to a tour, and you'll find that they are a sociable and outgoing person who makes sight-seeing and cycling a lot of fun. It's easy to make friends on a tour, so even if you're on your own - or no-one in your family wants to come along - you won't feel isolated. A bike tour is a gregarious affair and a surprising amount of fun! Of course, one of the most important components is a good bike, and the benefit of joining a tour is that they can recommend the most suitable set of wheels for you. Your tour guide will know the terrain you'll be travelling over so can recommend the right bike and set-up, depending on the tour you've chosen to sign up for. There are a number of different tours being offered by various operators; below is an example of some of those you could join. This bike tour is designed to travel around the city itself, revealing not just the well-known locations but also those which are more secret too. This tour starts at the beach before moving on to the beautiful parks in the city, and then the old town. Some of the highlights which will be included in this tour are the fishermen's village, the Iglesia mayor de la Encarnación (a spectacular church) and Salvador Dali square. The guide will provide lots of information about the history of not just Marbella, but the Andalucía region, and visit the parts of the city which are off the beaten track. This particular tour is suitable for everyone, including inexperienced cyclists and young children. If you're bringing young children, it's a good idea to book in advance to make sure child seats or smaller bikes are available. Marbella is a region known for its glittering millionaires, with the rich and famous anchoring their yachts in the waters and hopping ashore. Puerto Banus - the harbour region - is particularly renowned for its glamour and glitz, with expensive boutiques, fast cars and celebrities accompanying the floating palaces in the bay. A trip around Puerto Banus is like a step into another world, a glimpse at the glitter and the razzle-dazzle that comes with fame and fortune. A bike tour around Puerto Banus is one of the best ways to see exactly what the harbour area has to offer; you'll be able to stop whenever you want to see the sights and you won't miss a thing. Marbella is a city which is thousands of years old, and the harbour and coastline shows the fusion between the sparkling modern town and the more ancient parts which still remain. Being right on the edge of the ocean provides a wonderfully cooling breeze for the bike ride, and it's another tour which doesn't demand a high level of physical fitness. Suitable for everyone, including children, these tours typically take place either earlier in the morning or early evening in order to avoid the hottest part of the day. Quite aside from being a millionaire's playground, Marbella is known for producing delicious tapas accompanied by wines to be savoured so why not take a tour of some of the best spots for these with the help of your bike? 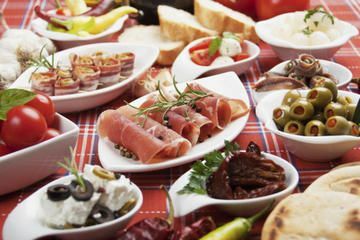 The wine and tapas tour winds round the city centre, and include the cost of both food and drink (in specified quantities). As well as the chance to sample scrummy food and drink, you'll also learn more about the traditions of Spanish tapas and the history and culture of the city. If you're not a fan of wine, this can very easily be swapped for another drink. This tour is not the same as the standard city tour, and will instead focus on the Moorish parts of town and the older quarters.